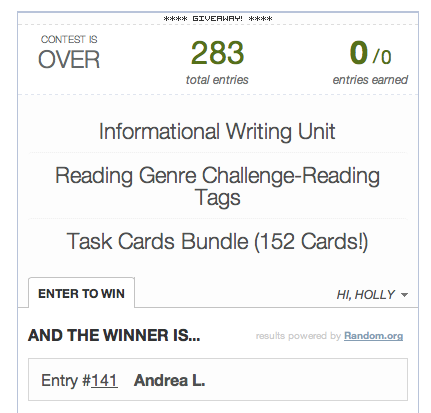 Head Over Heels For Teaching: Day 7 Giveaway! Welcome to Day 7 of our 1000 Followers New Year Celebration Giveaway! If you are stopping by for the first time, see the post here or here for more information about this awesome giveaway!! She won yesterday's Rafflecopter of prizes from three amazing bloggers TPT Stores! More talented ladies have donated treasures today! Be sure to check out their blogs to read more about how they use these products and follow them for additional ideas, tips, lessons, and freebies! 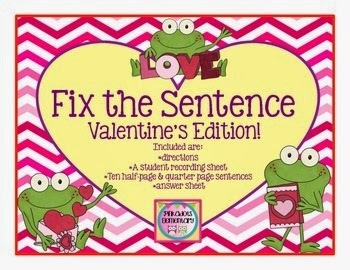 Get ready for February with this Valentine's Day Fix the Sentence (Around the Room) by Theresa at Pinkadots Elementary. 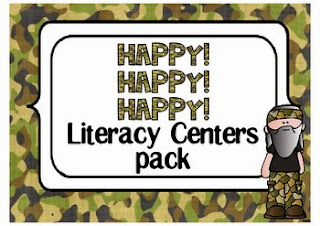 Check out this Happy Happy Happy Literacy Centers by Melissa at Don't Let the Teacher Stay Up Late. There are 65 pages in this pack with a Duck Dynasty theme! Don't miss the new Math Workshop January (10 Print and Go Games and Activities) by Deidre at A Burst of First. 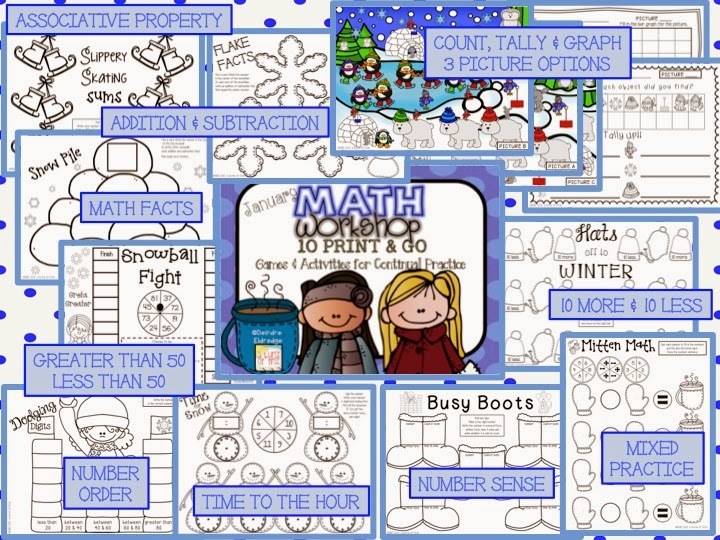 It is all ready to go with snow themed games and activities! Don't forget to check back tomorrow for a new Rafflecopter with more prizes from bloggers and to re-enter for your chance to win the pencil sharpener and $50 Amazon Giftcard!! 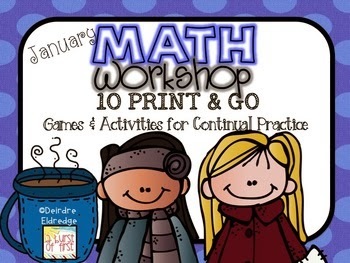 Drawing will be midnight on January 12th!